We are so grateful and honoured that you would chose to partner with us. The blood of Jesus Christ, shed on the cross, provides the only way of salvation through the forgiveness of sin. Salvation occurs when people place their faith in the death and resurrection of Christ as the only sufficient payment for their sin. Salvation is a gift from God, and it cannot be earned through our own efforts. 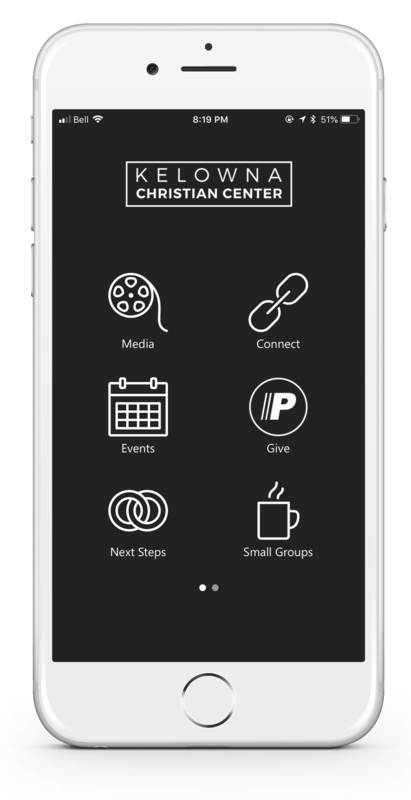 Download our app to stay connected through our weekly events, watch the live stream or to give online, fast and securely. To Give via text, send a “KCCNOW” text to 77977. If you have any questions or require more information, please give our office a call at 250-762-9559 or email kcc@kcc.net. If you are unable to give during the service you may provide credit card information over the phone or by donating online. Regular donations can be made through Pre-Authorized Debit (PAD) which comes out of your bank account automatically. Spending of funds is confined to projects and programs approved by KCC, and each designated donation will be used as directed. In the event that the funding for a particular project or program is met, or it cannot be completed for any reason determined by KCC, the remaining designated donations will be used where needed the most.